Lots of sales on GPUs happening over at NCIX, but what about processors? For that, Tiger Direct's got you covered. Processors are starting for as low as $40! But then that's for a budget pc, don't expect to play any games on that. 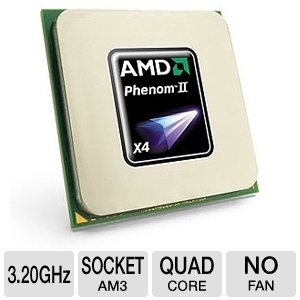 But, for gaming, the Phenom II X4 955 is going for $69.97! Also check out today's deal on Battlefield!